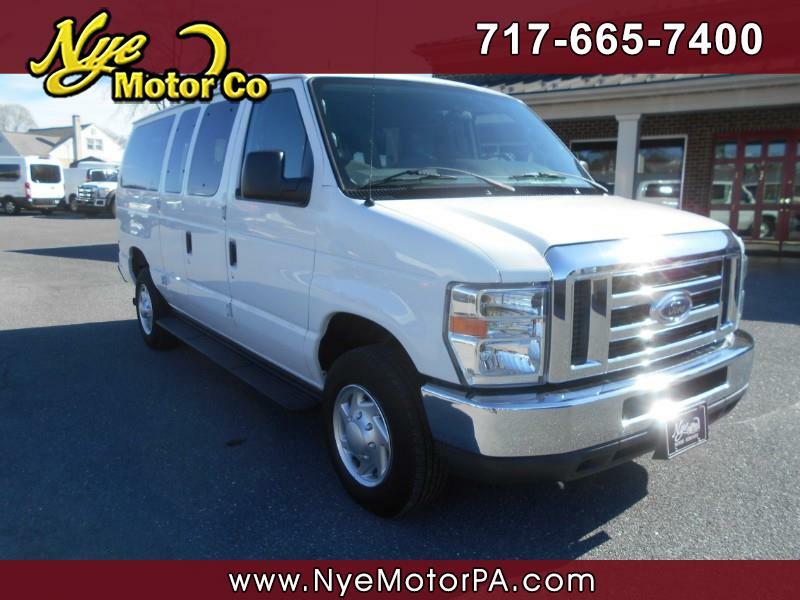 Used 2012 Ford Econoline E-350 XLT Super Duty for Sale in Manheim PA 17545 Nye Motor Co.
****1-OWNER****CLEAN VEHICLE HISTORY REPORT****LOW MILEAGE****EXTREMELY CLEAN****12-PASSENGER****MUST SEE & DRIVE**** Hard to find 2012 Ford E-350 XLT 12-Passenger van with only 38K miles! Outfitted nicely with Seating For 12, Line In, CD, Steering Wheel Mounted Controls, Rear Climate Control, Cruise, Tilt, Tow Hitch,12V Port, Running Boards, Power Windows, Power Door Locks, Power Mirror, and More! Powered by a strong running 5.4L, V8 engine, and driven by a smooth shifting automatic transmission. Call today to schedule your test drive.